The Half Property design service is perfect for customers looking for partial property designs - just a front or backyard design. Your designer will work around all of the existing elements you wish to keep and generate a beautiful new design based on your style and needs. 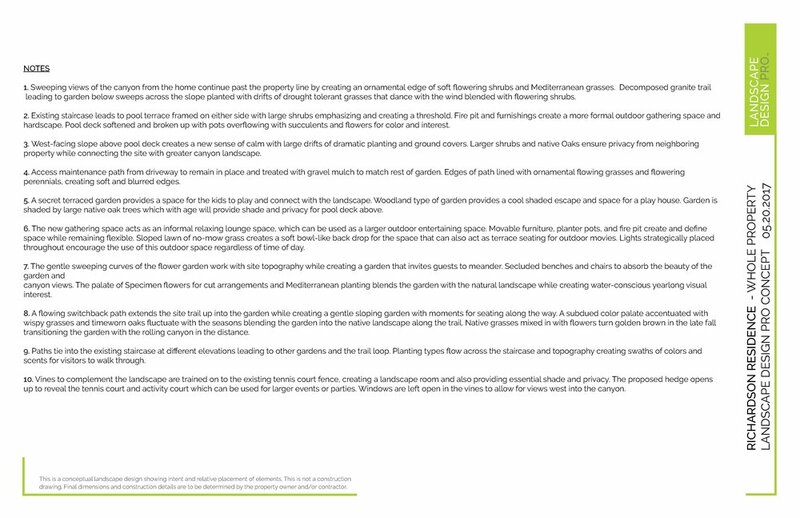 Your landscape concept includes detailed notes from your designer explaining the layout, materials, and general planting recommendations that you can hand off to a contractor or build yourself.